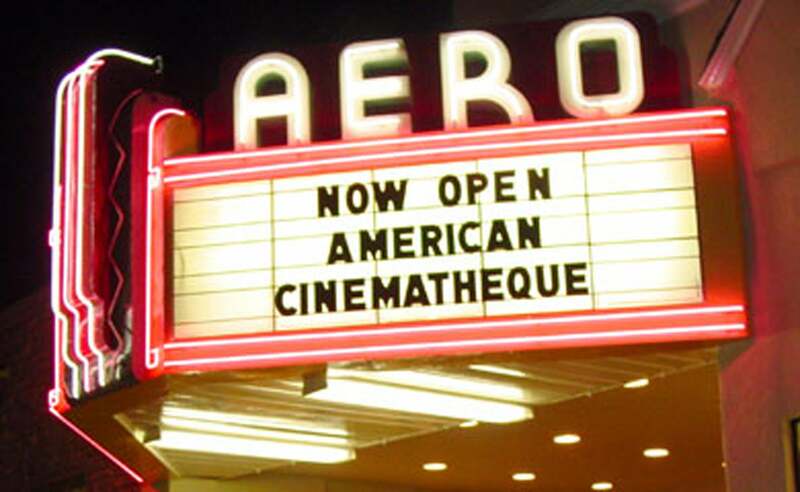 Created in 1981, the American Cinematheque has been honoring and promoting the art of motion pictures, presenting films and videos otherwise not available to the large public, and establishing a dialogue between audience and filmmakers, in the realm of classical, independent and new talent filmmaking. Home base of the Cinematheque is the historic 1922 landmark Egyptian Theatre on Hollywood Blvd, where the first Hollywood premiere of Robin Hood starring Douglas Fairbanks was held in 1922, and the Aero Theatre in Santa Monica, where the Cinematheque started programming in 2005. Since 1999 over one and a half million people have enjoyed the unique programming of the Cinematheque, with almost 10,000 films screened from all over the world. The Cinematheque hosts several foreign programs like Recent Spanish Cinema, German Currents and Cinema Italian Style, and the film noir series Noir City. Lively QAs often accompany the films and some of the major filmmakers in the world have stepped on the stage of the Egyptian and the Aero to discuss their films. For the last 15 years, the Cinematheque has been hosting the Golden Globe Foreign Language Nominees Symposium – with its live webcast – which follows the screenings of the five nominated foreign language films at the Aero. It was therefore only fitting that the HFPA would decide, in 2016, on a $2 million-dollar donation to the Cinematheque. The funds immediately provided for the restoration and much-needed repairs of the Egyptian Theatre from water damage to the roof, the courtyard, and the lobby, including new carpeting which was hand painted to reproduce the original design in regal dark blue. A new concessions stand and new upholstering of the seats with a special fabric was also part of the restoration. The funds also lead to the purchase of a Barco DP4K30L laser projector – which makes the Cinematheque the only non-profit art-house exhibitor in the country outfitted with this equipment - and the re-installation of the Legacy Norelco AAII 35/70mm projectors with all the original nitrate safety housings and rollers refitted along with the Legacy Analog Audio Cinema Processors. In June of 2016, the existing Projection Booth in the Egyptian’s main Rigler Theatre was replaced by a Nitrate Retrofit booth, under a parallel project co-funded by the HFPA, Turner Classic Movies, and the Film Foundation, to allow the screening of Cellulose Nitrate Flammable Films. Screenings of an original 35mm print of Michael Curtiz’s Casablanca, Carol Reed’s suspenseful British drama The Fallen Idol and Michael Powell and Emeric Pressburger’s Technicolor Black Narcissus marked this important nitrate return. In a later phase of the HFPA donation, the Cinematheque will establish an Endowment fund to maintain the Theatre in a constant first-class condition. As a sign of the partnership, a replica of the Golden Globe will be situated in the courtyard.